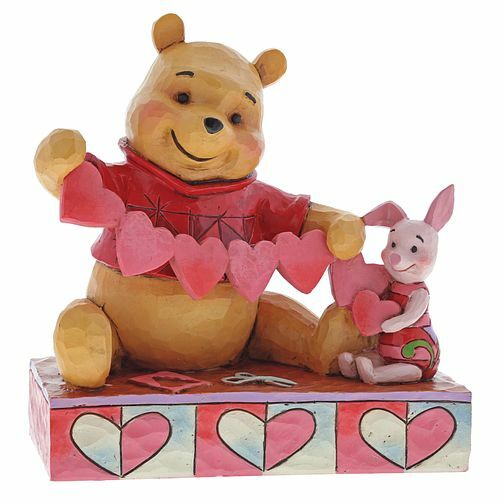 Piglet and Winnie the Pooh sit close beside each other as they trace and snip an garland of hearts. Folk art-inspired details add to the artisanal charm of this figurine, sculpted from high-quality stone resin. The perfect gift for that someone special or as a treat for yourself. Packed in a branded gift box. Not a toy or children's product. Intended for adults only. Disney Traditions Winnie The Pooh & Piglet Figurine is rated 5.0 out of 5 by 1. Rated 5 out of 5 by Anonymous from This product is a great collectible This product is a great collectible that makes a great gift for any Disney fan.